Catelynn Lowell is ready to come home. Her husband, Tyler Baltierra, 24, posted an Instagram photo announcing her check-out on Saturday. "Cate's health, safety & security, has & always will be my main priority. I love you Babe & can't wait to kiss your face & hold you in my arms again!" he captioned the heartwarming post shared across all his social media platforms. 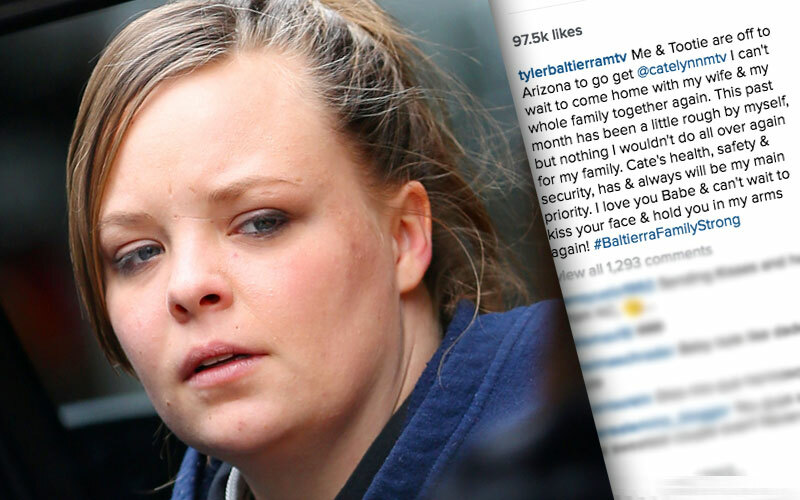 As Star previously reported, the 24-year-old Teen Mom checked into an Arizona facility last month after a series of frightening tweets. Arizona here I come... I can't wait to be back to my normal self... this is for me and my family.. Novalee and Tyler I love you both very much!!! "I can't wait to be back to my normal self," the MTV star captioned a photo before her check in. Novalee's mom suffered from postpartum depression after welcoming her in January, but did not specify if that was the cause of her stay. On April 5, she thanked her fans for their support via Twitter — but has not spoken out since.